Yesterday I clambered up to the top of the pilothouse and looked around the neighborhood…. 360 photos are trickier than normal ones since they show everything; I can’t just carefully frame an image to show a clean spot while piles of clutter are just out of frame! It is also more difficult, since the light sources themselves are usually in the image. But it’s a hoot, and with Facebook making it easy to embed 360 images I’m having fun sharing the project (and Friday Harbor) with friends. 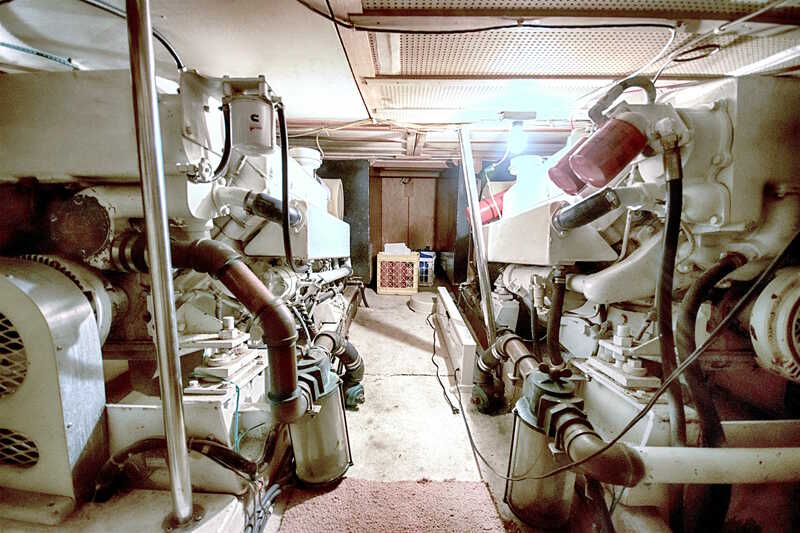 As I do more, or get better images to replace these, I’ll update this page until it is a full tour of the boat. 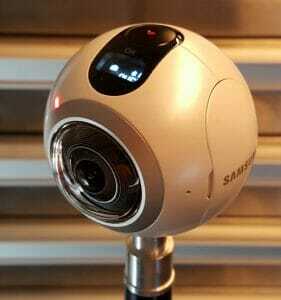 As I mentioned, my camera is the Samsung Gear 360, which I chose after considerable research. It’s about $250 plus SD card, and the other major player in that price range is the Ricoh Theta S with a larger user population and more convenient packaging, but the Samsung has higher resolution and uses a smartphone for live remote viewing and stitching. I have the Samsung S6 Edge, and being able to get out of the shot without a timer is wonderful. I added a 128GB micro-SD card, so there is a ton of room for 30 megapixel stills (7776 x 3888), along with many hours of 360 video (it does 4K, as well as time lapse with .5-60 second intervals… that is going to be fun! If you look down in some of those images above, you can see the wye-shape of the tripod legs. This is a big issue for 360 cameras, and normal tripods add a huge amount of visual bulk that often ends up getting masked by a disk (with logo). The work-around for that is to use a light stand, and I already had one that has been part of my photo studio kit for years. If you don’t have one of those, the normal solution is a combo tripod and selfie stick.